JC Country’s new range of New Kite girls spring summer 2017 collection is now in. 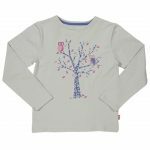 We stock a great selection from the Kite spring, summer 2017 girls range, and the bright spring, summer colours are ideal for this season. All the clothing is made from 100% organic cotton, and we stock items such as the knitted spotty dress, the silver birch top, and the check skirt. All are available in sizes age 3-11. Why not pop into our store JC Country, situated just off the A6 near Jcn 33 of the M6. Postcode is PR3 1BY, or you can also follow the brown direction signs from the A6. Come and browse our lifestyle country clothing and footwear ranges, for both adults and children. We are open 9.30am-4.30pm every day. New Adult spring and summer clothing is arriving very soon. New stock of men’s and women’s spring and summer 2017 ranges will be stocked in the store, within the next couple of weeks. We have new Lazy-Jacks women’s wear and Menswear jackets in the store now. Look out for our next blog for more spring and summer wear in our store. JC Country’s new range of New Kite boys spring summer 2017 collection is now in. We stock a great selection from the Kite spring, summer 2017 boys range, and the bright spring, summer colours are ideal for this season. All the clothing is made from 100% organic cotton, and we stock items such as the Pangea T-Shirt, the Tiger T-shirt, and the Boardwalk shorts. All are available in sizes age 3-11.